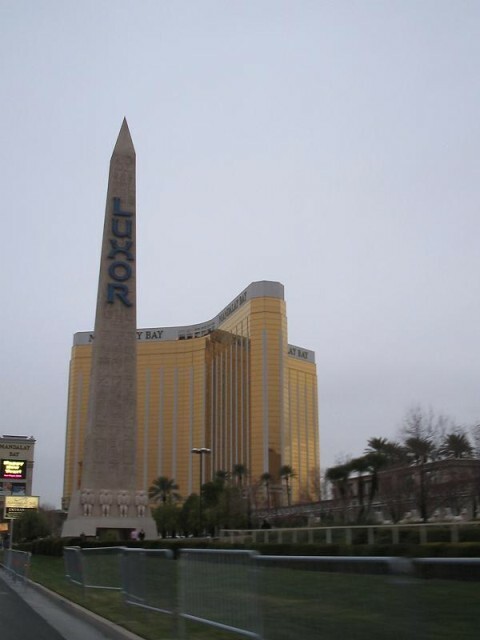 The next day, we headed to Las Vegas where we stayed at the Mandalay Bay, played poker, ate good food and my uncle Albert took me to see the Hoover Dam. I loooooove the Mandalay Bay, not only because it's asian themed but because it's gorgeous everywhere you look, the waitresses are actually pretty so their skimpy outfits don't gross me out as much, it's not too cold inside (probably to accomodate the asian ladies comme moi), the poker room is small and friendly (and offers bonuses on "high hands"), the rooms are very nice and we saw Chris "Jesus" Ferguson as we were going down to the lobby one day. I thought it was cool he was staying on the same floor as us, but we didn't want to harass him so we didn't get an autograph or anything. Bummer. The only bad thing I can say about the hotel is that the beds are a little hard, but not nearly as hard as other hotels we've stayed at. All in all, I give the Mandalay Bay two thumbs up... but that's not shocking since it alreayd has the reputation of being one of the best hotels on the Las Vegas Strip. You didn't have fun on our trip in 2001? But, remember Caesar's Palace? And the big football full of rum? And KT the blackjack dealer with a coke habit?